Over the course of the two and half years I’ve been blogging I’ve been asked many questions. So many in fact that I started a list and keep track of how many times I get asked the same questions. I’m thinking that having a FAQ page, one day, might be kind of neat. When I started this journey, I never, not even in my wildest dreams, imagined that anyone would read my blog, let alone ask me questions about it and other things. When it comes to making printables, there is not a one size fits all answer. I know many people use Power Point, Publisher, Word, Excel, Pages, Google Docs, even Photoshop, PicMonkey and Canva. It all depends on what you’re wanting to make, what you’re comfortable using, and what operating system you run on your computer. I’m a Linux girl, and most of the programs I use are all open source. Libre Office for example is my go to for my word processing, spreadsheet and database creating needs and Gimp is my go to for photo editing. But when it comes to creating my printables I turn to my favourite of all my programs; InkScape. InkScape is an open source (so free to download and use) vector drawing creator/editor, but don’t let that fool you, you can do many other things in Inkscape. Almost all of my images use some element I created in InkScape, but for now, let’s just take a peak at the printables. Below is an example of grids and guides I mentioned above. I have my grid set to be 6 mm or 1/4 inch, because the margin is more important for the printed items than for graphics, in my opinion. I can change it at any time, but I find this works best for me. Most of my printables have between a 1/4 – 1/2 inch margin around the outside allowing room for hole punches and bindings. As you can see in the above photo, I often use guide lines as well, especially for something like my calendar pages. I don’t know if InkScape has pre-done templates, I’ve never looked. Every element on each printable is created by me, right in the program. Which brings me to some of the negatives of using this program. Every element has to be created on its own. For example: I make the calendar grid by making a square or rectangle and then adding in additional lines to divide it into days. I have absolute control, but it takes a little more work. Also, each date has to be entered by hand, and moved to line up by hand, and I check them all a hundred and fifty times to make sure I have the right date on the the right day of the week. I cannot create two full size pages at once. I purposefully used the two page full size calendars for this post, because the illustrates some of the limitations. 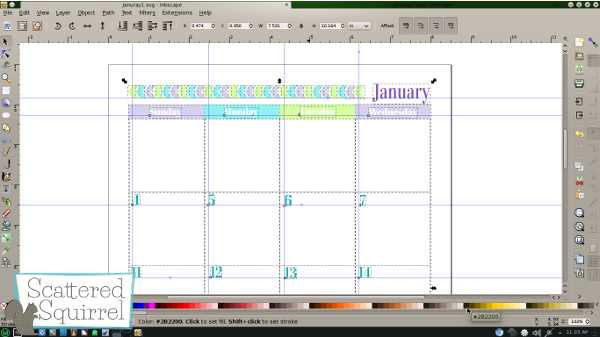 To create the month of January I had to make two separate files, and then use another program to join them together. To make multi-page downloads I open the PDFs into a program called PDF Shuffler and it saves them together. Because it is a graphics program, it is a little system intensive, meaning it uses more RAM and CPU to run than say a word processor. Spell check doesn’t work. That means each and every printable is triple checked by me for spelling. I’m only human, even with all that extra checking I miss things. 🙁 Nothing worse than having a printable floating around with a spelling mistake on it. The photo above is a good example of what I meant by creating each element. Those dotted lines are borders around each individual element that went into making the calendars. It’s a little time intensive, but I LOVE crafting these printables to share with all of you. Using a program like InkScape to make printables won’t work for everyone, but if you’re thinking you want to make your printables, I urge you to start with a program you enjoy using, or know how to use, and then start playing with it. If there is something you want to do, look up a how to video or a tutorial online. You might be surprised with what you can create once you start playing. Inquiring minds want to know: Originally I was going to make a video for this post and show you, step by step, how I make a printable. Is anyone interested in seeing a video like that? I would love a video tutorial. I am just starting my own blog and website so this would be great! Thanks for sharing!! I love posts like this, thank you for sharing your program of choice. I have been making my own printables for pretty much everything for years now (I can never seem to find exactly what works for me). I’ve never tried InkScape but I will look into it for sure. VERY interesting. I never knew about this program. I use Photoshop. Did you make these as printable or as cuttable also for Silhouette? it’s “peek” not “peak” – peak is a mountain or a summit of some kind. Peek is to take a quick look. Thanks for the heads up Isabel, I can’t believe I missed that. Ugh! Thank you so much for this post! 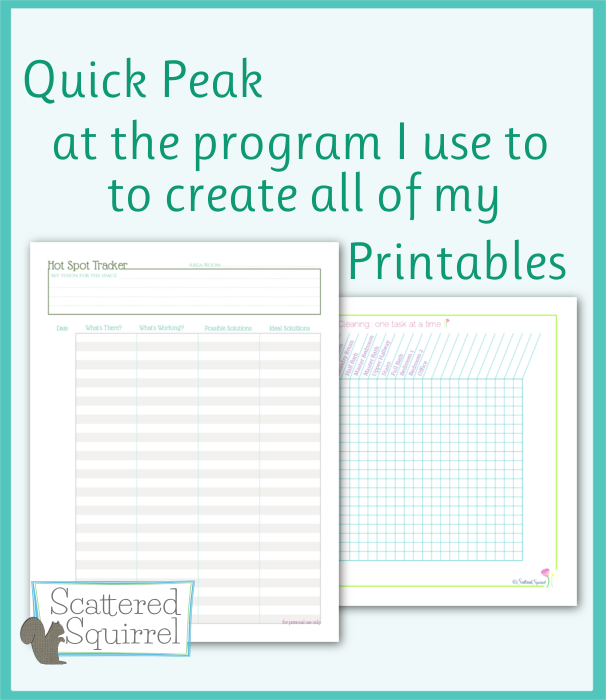 I love your printables and have been using them for almost a year in my disc-bound system. 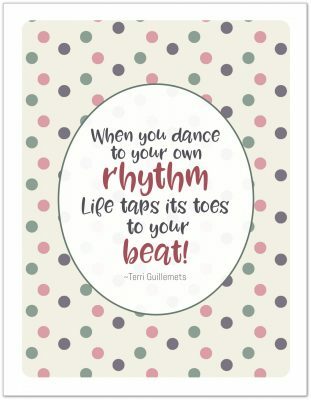 I was just experimenting with Excel, Silhouette, and PicMonkey to make a different half sheet weekly printable, but was having issues with them printing clear. I’m so impressed with your hard work! Wow! I will definitely check out Inkscape now and even LibreOffice – have been using Open Office for years. Thank you! 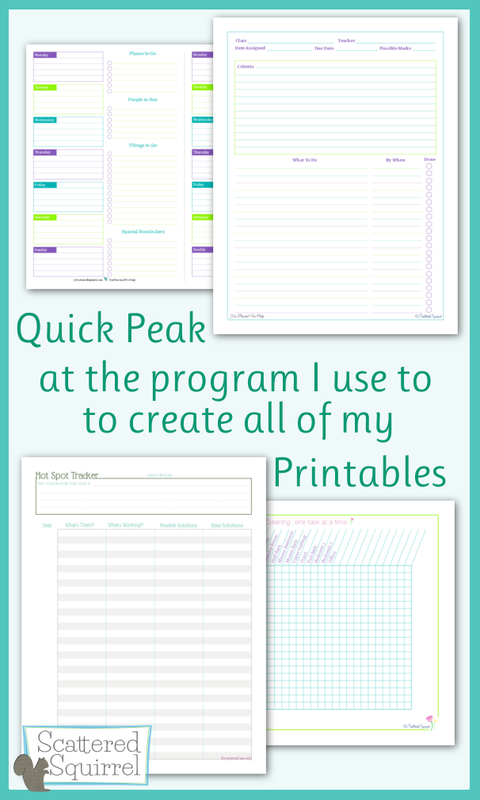 Making your own printables is a great way to create a planner that is tailor to your needs. InkScape does have a bit of a learning curve to it, but I really like it. If you’ve been using Open Office you’ll have an easy time figuring out Libre Office, I believe they are almost identical. I wish you all the best in designing your planners, and I’m thrilled to hear that you found some of my printables to use while you’re creating your own!!!! Cheers! Did you ever make a video of this? Hi Alicia, no, I didn’t make a video of it yet. It’s on my to-do list though.